Jessie Chapman has been offering Radiance Yoga Wellness Retreats since 2002 in Byron Bay, Bali, Thailand, France, Spain, Italy and New Zealand. The retreats are a soulful blend of inspirational yoga classes, beach & nature walks, massage & spa therapies, healthy meals & juices, core strength classes, meditation, mindfulness practice, yoga nidra, cultural tours, awe-inspiring hiking & lots more in beautiful locations. Everyone is welcome, from beginners to experienced yoga practitioners. People join our retreats for many different reasons - everyone leaves feeling relaxed, healthy, clear & inspired. Click here to read what people have said about their Radiance Retreat experience. About the Yoga: The retreats are based upon the foundation of dedicated yoga practice with Jessie Chapman and the experienced Radiance yoga teachers & facilitators. All levels of yoga experience are well catered for including complete yoga beginners. People are challenged according to their experience with plenty of individual attention and adjustments given in the classes by our experienced Radiance facilitators. The classes combine gentle warm up sequences with Vinyasa yoga (moving through the postures with breath awareness) and holding in postures to build strength, stability and alignment. Many variations of the postures are given so people can practice according to their experience and individual needs. The classes are designed to allow people to journey deep into their practice with awareness and ease. Yoga props are often used to go deeper and to experience complete relaxation and renewal in the restorative yoga postures. Retreat guests range from those completely new to yoga to those looking to renew an existing practice to experienced practitioners wanting to go deeper. 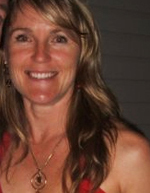 Jessie has been practicing and exploring yoga since 1991 and began developing her teaching skills in 1996. It was whilst living Bali that Jessie began combining her love of yoga with the healing arts offering the first Radiance Retreat in 2002. Jessie has published 4 yoga books with HarperCollins Publishers AUS & Ulysses Press USA, including Yoga Postures for your Body, Mind & Soul, and created the popular Radiance Yoga DVD series for home practice. 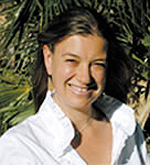 Jessie has studied yoga with many leading teachers in various yoga styles. “I remember attending my first yoga class, it was a profound and life changing experience. I fell in love with exploring the many and varied yoga postures, the physical sensation of stretching, challenging and awakening my body. My breathing improved and there was an immediate shift in my state of mind. A feeling of calm and inner peace washed over me and I knew that yoga would become a natural part of my life.” Becoming a qualified teacher in 1997, Jessie continues to study and develop her teaching skills and understanding of yoga practice and wisdom. She loves being apart of the transformational yoga journey and creating a space for people to relax and connect within. Lee assists in the yoga classes giving one-to-one adjustments in the yoga postures and she also leads some of the guided walks during the retreats. Lee is also a yogadance teacher and offers her inspirational yogadance class on some of our Byron Bay and Bali Retreats. Yogadance is a choreographed routine of yoga postures set to uplifting music that is accessible to every body and is fun, empowering and enjoyable. 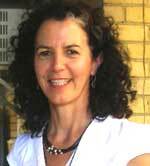 Lee is a certified yoga teacher and has been practicing yoga for many years. She loves the balancing affect the practice brings to all areas of her life. 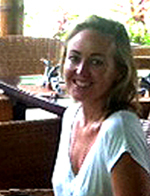 Anthea is a certified yoga teacher who gives nurturing one-to-one adjustments in the yoga classes. Anthea is also a Massage Therapist, Reiki Master and Natural Beauty Therapist and offers massage, Reiki healing & holistic spa treatments on our Byron Bay Retreats. Anthea is the author of Passion and Hungry Cook Books and designs the all-organic plant based menu for our Byron Bay Retreats. Haydie is a qualified and experienced yoga teacher, naturopath and nutrition coach who assists in the yoga classes giving adjustments and individual attention. Haydie also offers the evening yoga nidra sessions, pre lunch restoration, meditation and mindfulness classes as well as leads some of the daily guided beach and nature walks. Haydie has a passion for health and nutrition and gives a talk on Healthy Eating & Lifestyle on our Byron Bay Retreats and is available for private consultations and support during the retreats. Jacinta is a certified and experienced Iyengar Yoga teacher who adjusts and teaches yoga on some of the Radiance Retreats. Her classes cater to all levels of practice and experience with particular focus on developing the foundation of the yoga postures and correct breathing. Her classes are of great benefit to beginners as well as more experienced practitioners wanting to refine their practice combining gentle sequencing with dynamic asana work, pranayama as well as deeply restorative yoga for relaxation, healing and stillness. Jacinta also guides some of the walks and leads a mindfulness drawing class on some retreats. Kevin leads Bhajans and Kirtan on some of our Byron Bay and Bali retreats. With Kevin singing on guitar we're guided through simple chants in Sanskrit and English. The singing creates an elevated mental condition for practicing meditation and sitting in stillness. People feel empowered and honoured by contributing their voice. In these sessions there is also the option of sitting in stillness (or lying down) and simply absorbing the wonderful sounds.